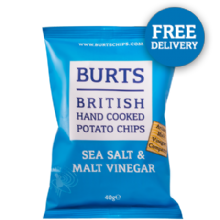 Burts Crisps - Full range of Burts potato chip crisps available, wholesaler delivered. 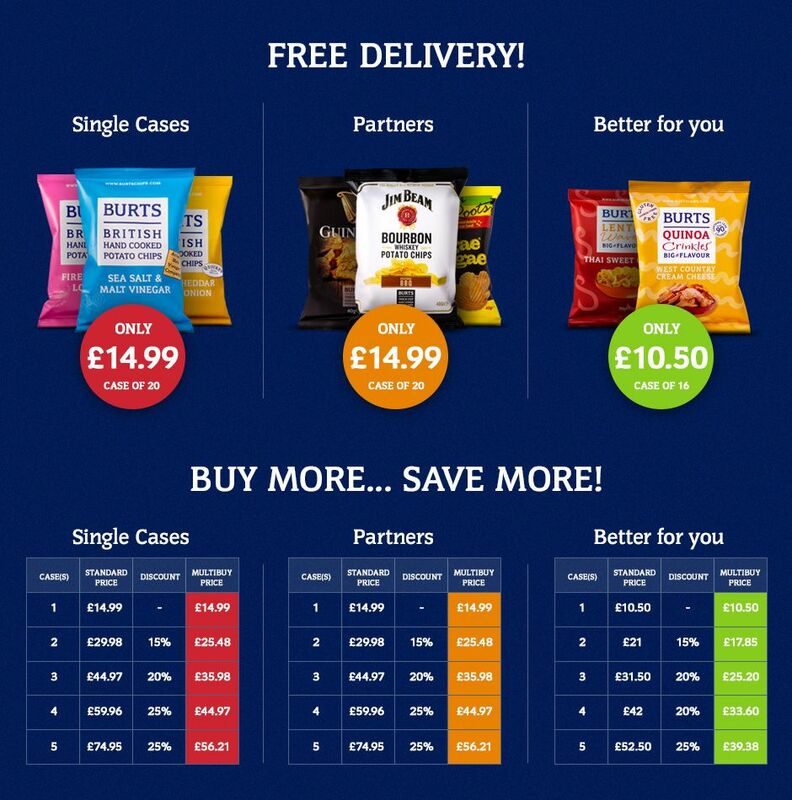 Premium Snacks Ltd source and supply an extensive range of great tasting snacks and treats which you can buy online through our shop, and have delivered right to your door. Based in Hertfordshire, we value our reputation for offering excellent customer service. 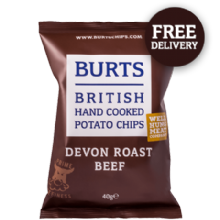 We are a third party supplier of Burts Potato Chips, who have been cooking their delicious crisps and snacks in Devon since 1997 using only natural ingredients and we think they taste fantastic... but don't just take our word for it, click on a flavour and give them a try! 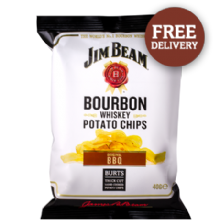 Premium Snacks stock all 40g Burts Chips as well as Guinness, Levi Roots and Jim Beam flavour crisps. 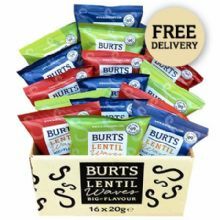 You can also buy the Burts Better For You range which include award winning Lentil Waves. 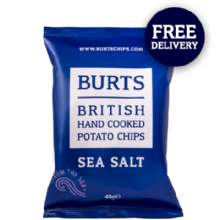 For those of you who prefer a bit of variety in life you can also purchase in mixed cases of both Crisps and Lentil Waves.